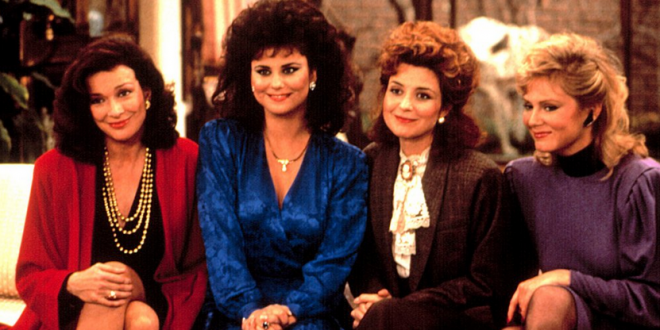 Original Series Creator To Reboot Designing Women - Joe.My.God. Twenty-five years after wrapping its seven-season run on CBS, Designing Women is plotting a return to the small screen. Series creator Linda Bloodworth-Thomason is behind the revival, which hails from producers Sony Pictures Television Studios. The project has been in the works for months as the indie studio searches for a home for its revival of the comedy about four women (and one man) working together at an interior designing firm in Atlanta. Designing Women is of particular interest as broadcasters look to reboot hit comedies that help speak to the state of the politically divided country. ABC found huge ratings success with Roseanne, which represents the working class in middle America; CBS recently rebooted Murphy Brown with star Candice Bergen for next season; and NBC has renewed its Will & Grace revival through 2020. Original cast members Dixie Carter and Meshach Taylor died in 2010 and 2014, respectively. Annie Potts currently appears on Young Sheldon.